We welcome the whole world into this community of Love, Unity and Oneness. Why is Sharing a Power? And how can one be one with this Power? Most importantly, why would anyone want to be Sharing? What’s in it for me? Is what might come up for some people as some would think about sharing as giving and then being left behind empty and alone. What’s in it for you and me and all is a satisfaction on a Soul level. There is absolutely nothing physical on earth that can create such an Eternal presence of the Light as Soul satisfaction. Everything God has created for us through God and human is for our highest good. Yes to enjoy to the fullest. However what the fullest truly is Is for our Soul to shine and to let the Light flow in and through us. O.K. By now some may say I have heard all of these Spiritual Teachings before. Some of it is true and some I will let be. How can you know if all of these Spiritual Teachings are true until you practice them in your life? Do we want to live with just theory or do we want to taste our Souls in every aspect of our lives? Yes a choice has to be made. And what is the choice that you are making? Sharing our time with our families and loved ones. Sharing our time and resources for a worthy cause. Sharing our Wisdom and Love. Yes random acts of kindness are Precious and Powerful. 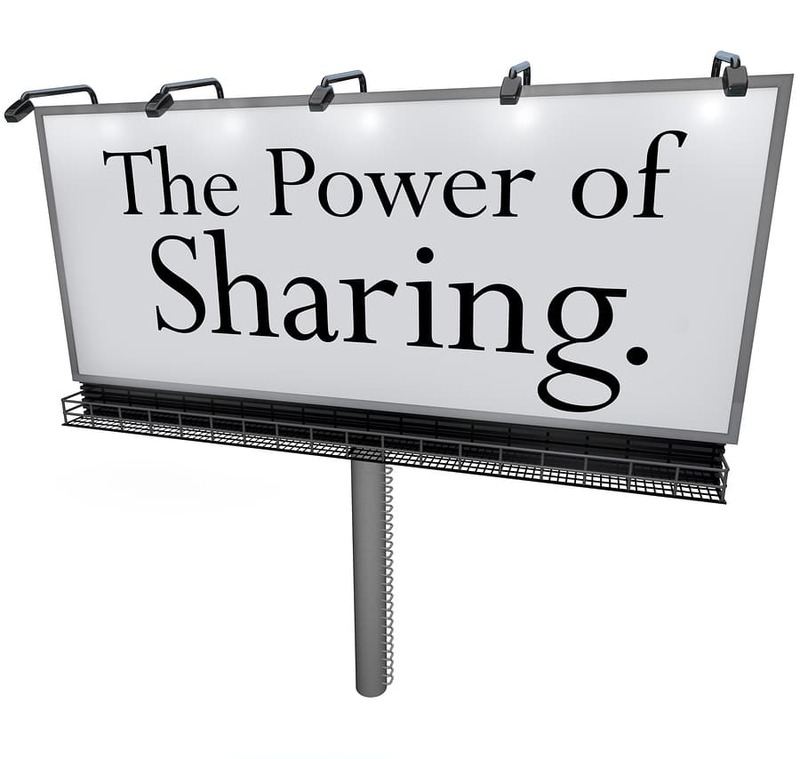 However, we have the Power to be sharing all the time. Just like any training we can train ourselves to be sharing. Bringing our awareness into the moment with the almighty presence of God and all that Is. We can allow ourselves to be vehicles of Love, Compassion and Sharing wherever we are. Believe me as I believe One has more energy through being sharing, as One allows their God given Eternal Energy to be activated through any state of Sharing. And let it be known that the Law of Cause and Effect is always at play. When one Shares Unconditionally and Selflessly one is automatically rewarded by this law. Now I mentioned this for your awareness let this Not be your motivation to Share. I encourage you today and everyday to let your Soul and the Presence of God eternally in you as you to be your calling. I wish you all Love, Joy and Peace. I wish you Magnificence Health, Wealth and Miracles. I wish you all Unity and Oneness. For we are all One. And so it is. Bless you. It is not possible to control the outside of yourself until you have mastered your breathing space. It is not possible to change anything until you understand the substance you wish to change.